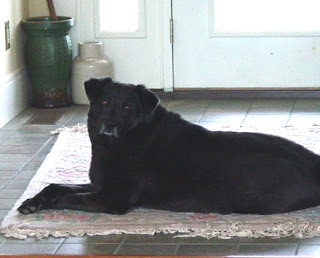 I've been thinking about dogs who blog lately, mainly because I've been trying to write a memorial post for our beloved boy, Tucker. 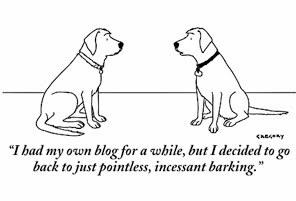 Tucker began blogging here at Talking Dogs back in 2007 with an announcement of his 10th birthday. As time went by, Tucker did less of the barking here. Now he barks only in spirit. A more fitting memorial tribute is coming soon. I promise. For now here's a photograph from Tucker's early dog blog days. Looking forward to reading his tribute. What a sweet picture. Looking forward to his tribute, I know it must be hard. sorry I wasn't around then to know Tucker....but looking forward to reading about him here! I really appreciate all your comments. Tucker's only been gone a couple of weeks and, truthfully, it's hard to blog at all, let alone write a memorial. Hard stuff. But I have a rough draft... so it really will appear here soon. We wish we had known him more.